Minnesota’s North Shore hides a winter wonderland, providing scenic beauty, winter sports, and no crowds. During the summer, Minnesota’s North Shore plays host to myriad tourists coming for the fishing, scenery, art festivals, hiking, and more outdoors fun. In the winter, though, this area almost shuts down to anyone but the locals. 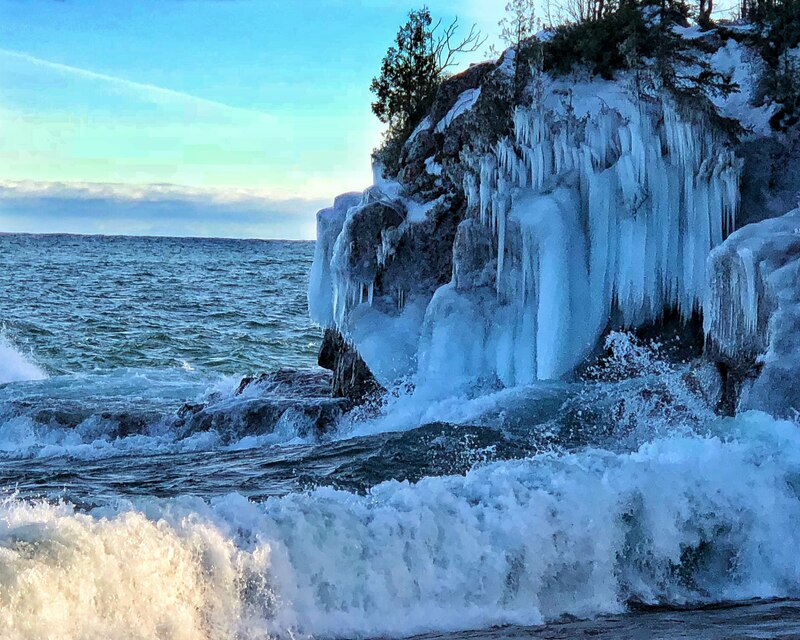 So, if you’re seeking out a winter wonderland, like we were in January, your search is over with Minnesota’s North Shore. We had such a great time during our Minnesota Christmas, last year that we just knew we had to return, this year when our cabin fever set in and we began longing for cold and snow. Instead of West of Duluth, this year, we went North! 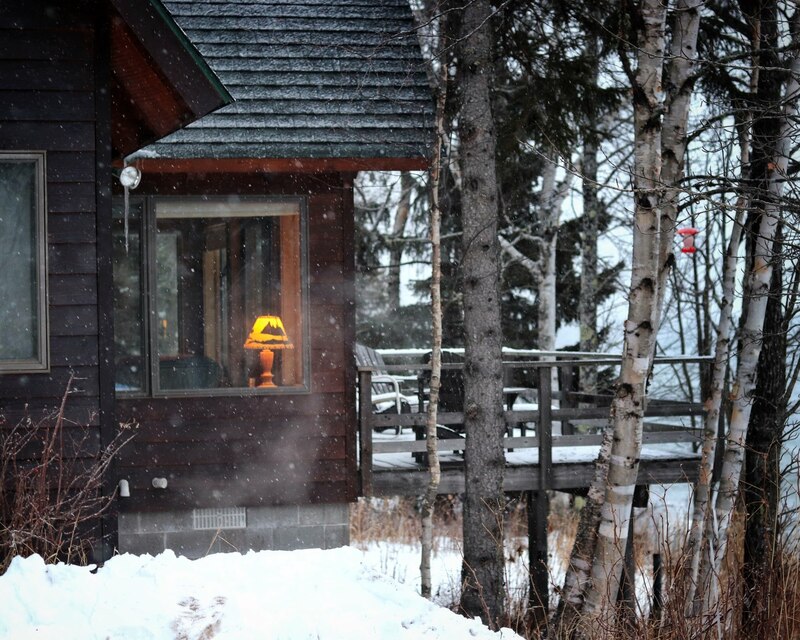 Situated directly on the North Shore of Lake Superior, our cabin provided the perfect getaway. We found we had a MUCH bigger to-do list than our time allowed. Skiing, snowboarding, snowshoeing, snowmobiling, ice fishing, visit Canada, hiking, relaxing, and so much more made up our list. It’s ALL available to do on Minnesota’s North Shore! We picked a few from our list and got them checked off, some in a very BIG way. Lutsen Mountains, in the very heart of Minnesota’s North Shore, offers the largest ski resort in the Midwest with 95 ski runs, 4 mountains, and 875′ of vertical rise. We visited Lutsen Mountains twice during our 9 day visit to Minnesota’s North Shore. Neither day was busy, by any stretch. In fact, the first day (a Wednesday), there was almost no one at the ski resort. Although we didn’t get a chance, Lutsen also rents snowshoes for $15 for 24 hours (in case you want to take a night hike to see the Northern Lights). We thought that was an incredible deal! Ski lift tickets were $92 per adult and $75 per child under 12, but we went on a Thursday and it was 50% off, so check for deals! Kelly had his birthday while we visited Minnesota’s North Shore. We wanted to do something special to surprise him for his birthday and boy, did we ever with snowmobiling! Allison found Hungry Jack Lodge, way up in the Superior National Forest, just one mile from the Boundary Waters Canoe Area. They rented snowmobiles for the entire day. Perfect! I (Dad) had been snowmobiling as a kid and was kind of expecting a ho-hum experience. Wrong! This was, by far, the best, most memorable experience of our trip to Minnesota’s North Shore! Driving across a frozen lake, the kids getting a chance to drive, really well-groomed and marked trails, and no one else out there. We even saw a wolf on the side of the road on the way up to Hungry Jack! This experience could not have been more perfect. Thank you, Hungry Jack Lodge. An absolute must for our list was sledding. First, we had to find a local sledding hill. This can often be a challenge, as they’re hidden in local parks or a random hill on public property. To find it, we went to the Grand Marais Visitor Center. They were awesome and so helpful! They told us right where we could find a sledding hill and we took full advantage of it. After our first of several days on the sledding hill, we took a nice hike to frozen waterfall, too. We had a blast! 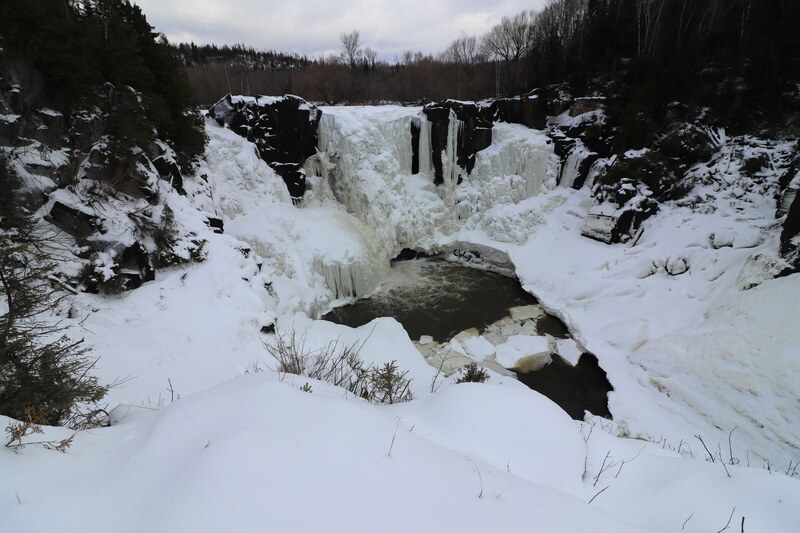 During all our travels, we stopped along Minnesota’s North Shore and looked at the frozen cliffs along Lake Superior. It was spectacular! Last, but certainly not least was a visit to Canada. We were only about an hour from the Minnesota-Canada border in Grand Portage, MN, so we felt we couldn’t be that close and not visit another country. While Thunder Bay in Canada was a bit underwhelming, mainly due to the weather, we did have a great time in Grand Portage and tried some amazing Finnish food in Thunder Bay. We also did another hike to an even bigger frozen waterfall. Minnesota provided us with the winter wonderland we needed during our Florida winter. Snow, outdoors, cold, and winter activities with almost no crowds. It’s a true hidden gem. FIRST TIME! 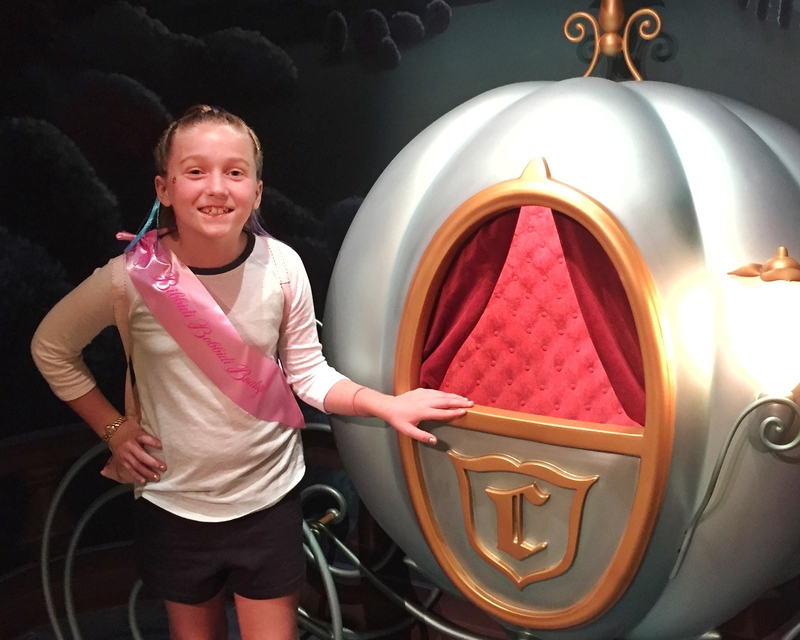 on an Adventures by Disney Vacation!